She doesn't have a blog (still) so I am offering her this help! 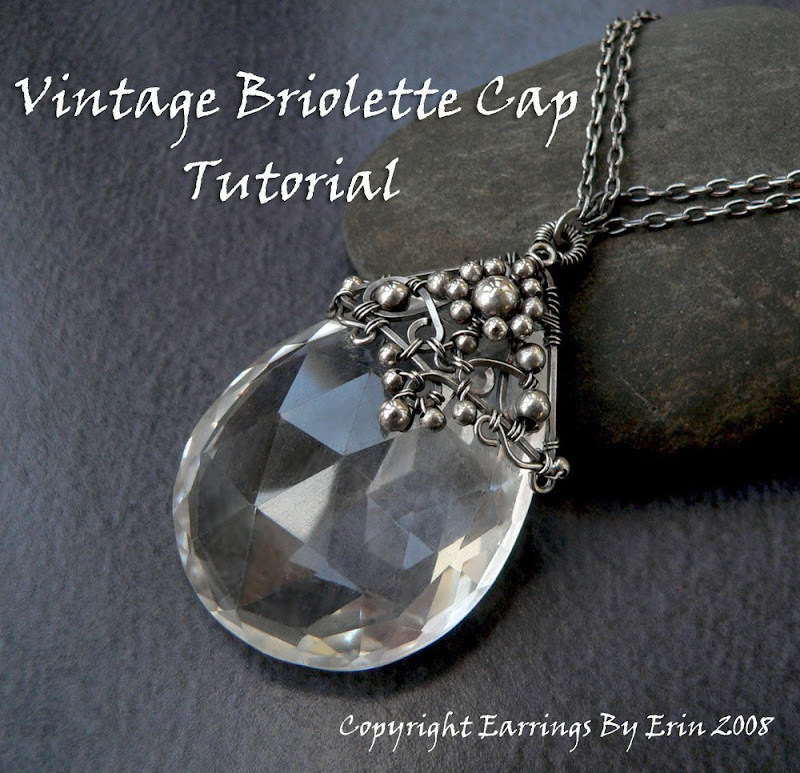 :P You could either visit her Etsy store to get it, or, send $9.95USD to duade@flatearth.net.au, and enter "Vintage Briolette Cap Tutorial" as subject, a PDF file will be sent to you in within 24 hours! You may, too, click on the Buy Now button below, the fund will go directly to Erin (not me!) and she should attend to your request shortly! This is so beautiful! I hope you don't mind but I just tagged you over on my blog. I hope you'll play along - it's a fun way to get some promotion. Check out the rules at http://marjoriescracked.blogspot.com.